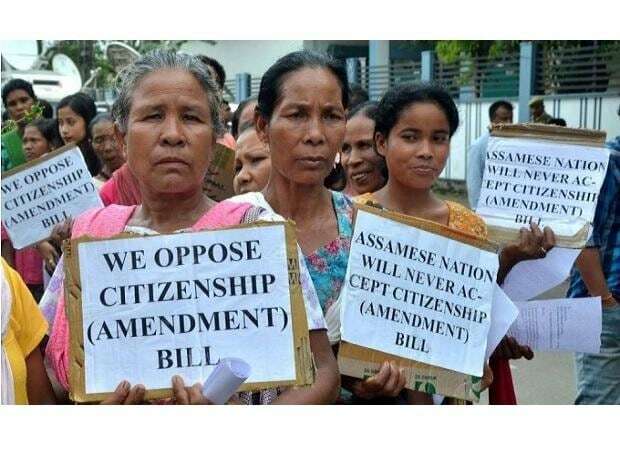 Regional parties across the Northeast which are in alliance with the BJP will meet in Guwahati on Tuesday to put forth their objections to the controversial Citizenship Amendment Bill. They will be joined by the JD(U), NDA's major ally in Bihar, and the AGP, which recently snapped ties with the BJP in Assam over the proposed legislation that seeks to provide Indian citizenship to non-Muslim nationals from Bangladesh, Pakistan and Afghanistan after six years of residence in India. Meghalaya Chief Minister and National People's Party (NPP) president Conrad K Sangma is taking the lead role in convening the all-regional-parties meet Tuesday and the Asom Gana Parishad (AGP) is the co-convenor of the meeting, Meghalaya's ruling party NPP leaders said Monday. The MNF from Mizoram, NDPP from Nagaland, IPFT from Tripura, SDF from Sikkim besides NPP leaderships from Arunachal Pradesh, Nagaland and Manipur have confirmed their participation in the meeting, they said. K C Tyagi, general secretary of the Nitish Kumar's headed JD(U), arrived in Guwahati. Party's national vice president Prashant Kishore is expected to reach the city. Mizoram Chief Minister Zoramthanga left Aizawl Monday for Guwahati to attend the meeting of chief ministers and regional parties of the north-east to be held Tuesday on the issue of Citizenship Amendment Bill, ruling Mizo National Front (MNF) party sources said. The regional parties across northeast which are meeting on the Citizenship Bill are members of BJP-led NEDA (North East Democratic Alliance). Protests against the Bill have rocked the Northeast region, with those opposing it contending that it would harm the rights of the indigenous people. The gathering to put forth their objections to the Citizenship Bill, which is piloted by the BJP, is bound to create more uneasiness for the party as the Northeast together accounts for 25 Lok Sabha seats. The BJP which either on its own or with NEDA allies is in power in all the eight northeastern states is eying them in the coming parliamentary polls. "The chief minister (Sangma) has invited all political parties, mostly regional parties in the NE region, to discuss on the amendment of the Citizenship Bill. The meeting will be held at Vivanta Taj in Guwahati," Meghalaya state president of the NPP Wanweiroi R Kharlukhi told PTI. All regional parties in Meghalaya, which are part of the ruling Meghalaya Democratic Alliance, have confirmed their participation at the event, he said. Regional parties from Manipur, Nagaland, Mizoram, Arunachal Pradesh and Tripura are also attending the meeting, he added. The NPP, which is the main ally of the BJP in the Northeast and part of the NEDA, had met Union Home Minister Rajnath Singh last month to oppose the Bill. The Meghalaya Democratic Alliance, also led by the NPP, has passed a resolution in the cabinet opposing the Bill. The leaders of the AGP had last week met Chief Minister Conrad K Sangma at his residence at Tura. A report from Aiwazl said that that the meeting, jointly convened by the AGP and the NPP, would deliberate on how to oppose the Citizenship Amendment Bill unitedly. "The cabinet meeting chaired by Zoramthanga had adopted a resolution resolving to oppose the passage of the Citizenship Amendment Bill and the chief minister had informed Prime Minister Narendra Modi and Union Home Minister Rajnath Singh that the state government and the people of Mizoram were opposed to the legislation of the proposed amendment," sources said. Majority of the northeastern states have come up with resolutions against the Citizenship Bill. Even the BJP-led government in Manipur has expressed strong reservation against the Bill. The JD(U) has supported the AGP and the AASU on the issue and has even announced that it would vote against the Bill in Rajya Sabha. Tyagi told reporters in Guwahati Monday that his party would vote against the Citizenship Bill when it will come up in the Upper House. AGP president Atul Bora said that a convention of northeast political parties has been convened in Guwahati on Tuesday to voice their protest against the Bill together. He said that "the entire Northeast is protesting the Bill and it's unfortunate that the Assam government has ignored sentiments of the indigenous people and is instead attacking and harassing people and organisations opposing the Bill".